Smart Minds’ franchisee business solution is a unique value proposition to manage, monitor and deliver solutions efficiently to their client. We understand that Franchisee businesses operate in a complicated eco system consisting of Franchisor, Franchisee, Clients and Suppliers and for such a business to operate efficiently, we believe automation is a must. While other large companies take a more piece meal approach, Smart Minds approaches it more holistically. 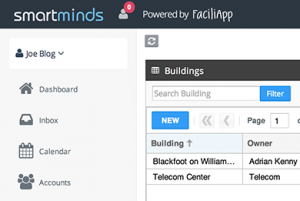 Smart Minds works with clients to setup systems which help them in managing all stages between Contact to Contract. Scheduling based on reach and availability based on a smart/shared calendar. These use features such as easy drag and drop functionality for calendar entries, both PC and tablet friendly. 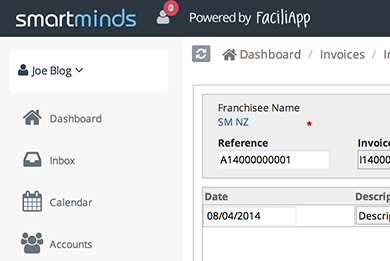 Manage multiple franchisees at multiple layers (Regional/local levels) without hassle and without having to manage multiple systems and invoicing them separately. Track and report effort and efficiency of franchisees using insights and comments from customers, financial reports etc. in one central place. Scheduling based on reach and availability based on a smart/shared calendar using features such as easy drag and drop functionality for calendar entries both PC and tablet friendly. Franchisee businesses can operate locally as the franchisor or in other locations, the assignment of tasks for these businesses and their areas are always a challenge for service based franchisees. 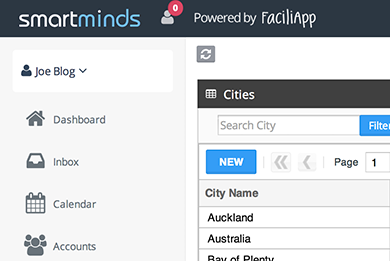 FaciliApp makes it easier for you to manage your franchisees better by assigning services based on regions and reporting on regions. Other than the usual accounts and invoices Faciliapp provides insights into your franchisees performance, pending tasks and other insights which keeps your business running efficiently.